Note: Due to scheduling issues and the upcoming holiday, the November webinar will be prerecorded and posted on our website for viewing. 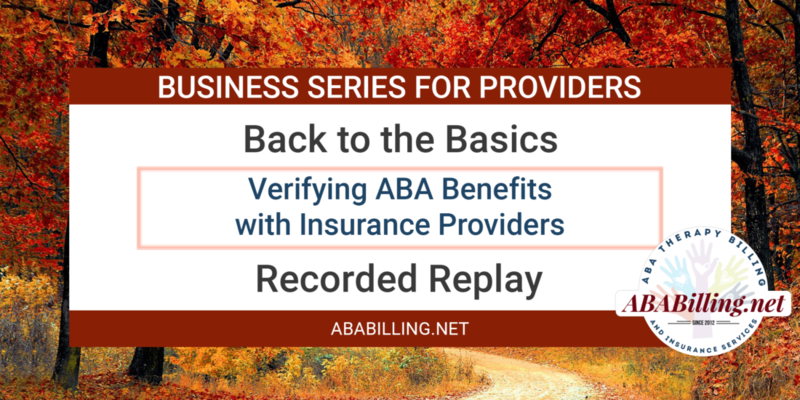 The webinar will cover everything you need to know to stay verified. And Emily will be supplying all subscribers with reusable handouts that will help you with keeping track of information and knowing what you need to ask when speaking with insurance reps.
Due to the reusable nature of the materials involved, we must ask $25 for this webinar. With the time and frustration you will save, this is well worth the cost!